A significant period in the life of BRIDGE came to an end when our CEO Barbara Dale-Jones moved on to a new phase in her own professional life. Barbara took part in the conception of BRIDGE in 2009, as a member of the team (along with Ann Lamont and John Gilmour) that founded BRIDGE. She helped grow BRIDGE in its early years, and became CEO in 2013. 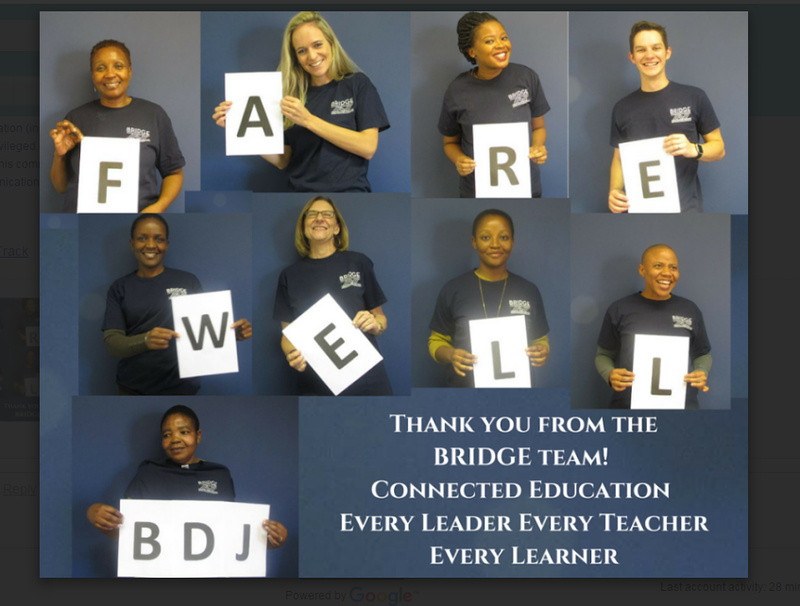 Under Barbara’s leadership, BRIDGE expanded its work in various strategic directions, including growing the numbers of Communities of Practice and establishing a new vision for knowledge management in the BRIDGE context. BRIDGE staff members said goodbye to Barbara at our own small – but raucous – office party, at which we gave her a gift representing the team spirit that she has nurtured and developed. The Zenex Foundation, as one of BRIDGE’s core funders, hosted a much larger farewell for Barbara, in recognition of her dynamism and contribution to the partnership between the two organisations. This wonderful event was held at the magnificent Northwards House and attended by many of Barbara’s friends and colleagues. Yvette Nowell from Rand Merchant Bank played Master of Ceremonies with zest. 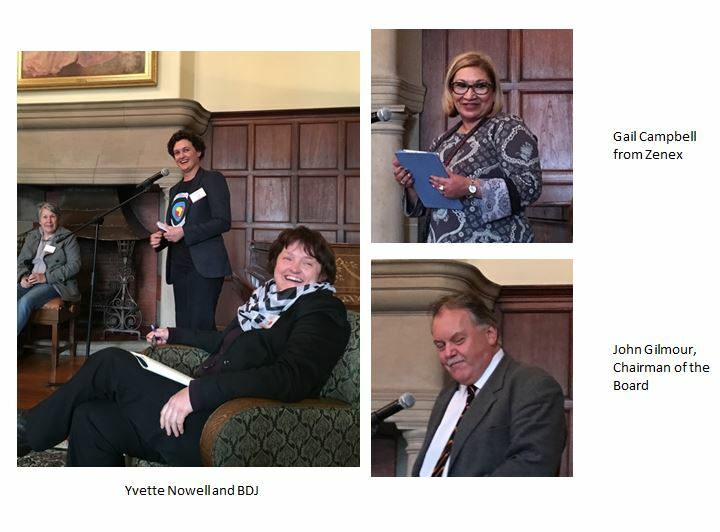 Gail Campbell, CEO of Zenex, spoke about her shared journey with Barbara in growing their understanding of models of collaboration, while John Gilmour as the Chairperson of the BRIDGE board reflected on their common drive to use BRIDGE to harness the energy of the education community. 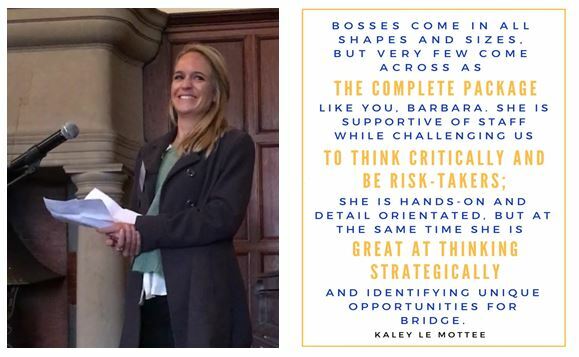 Kaley le Mottee from BRIDGE spoke on behalf of all the staff members, reflecting on Barbara’s co-operative and supportive style of leadership and her team building skills, as well as some of the personal characteristics that made it fun to work at BRIDGE. Barbara responded with her own thoughts on what she has learned from the BRIDGE context, its partners, its people and its dynamics. 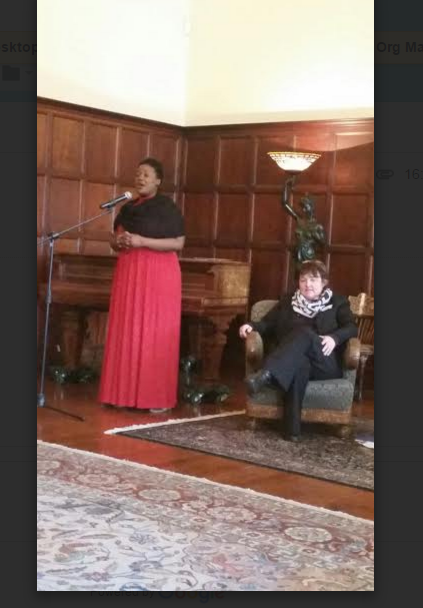 The treat of the evening was the beautiful singing of Khayakazi Madlala from Gauteng Opera, who took us into a different realm of collective experience. Barbara has taken up her post as Senior Digital Strategist and Education Lead at Dimension Data’s Global Digital Advisory Services, and, as a committed educationist, will remain connected to BRIDGE. In the meantime we are very grateful to have the experienced guidance of Pat Sullivan as interim CEO until the post is filled. Pat is well-known in the sector, and has a long relationship with BRIDGE through her work as facilitator of the Maths and Science Learner Support CoPs as well as various Principals CoPs.